Every year the amount of data that requires to be backed up is increased. There are two ways to store backups – by using on-premise facilities or by trusting in cloud-based solutions. Having an on-premise storage infrastructure can be costly for a company. This is because of the high prices for storage equipment and the expenses to maintain this equipment, e.g., hiring a storage engineer. Depending on a company’s rules, Microsoft Azure could be chosen as the cloud platform, and as an alternative to traditional ways of keeping data. 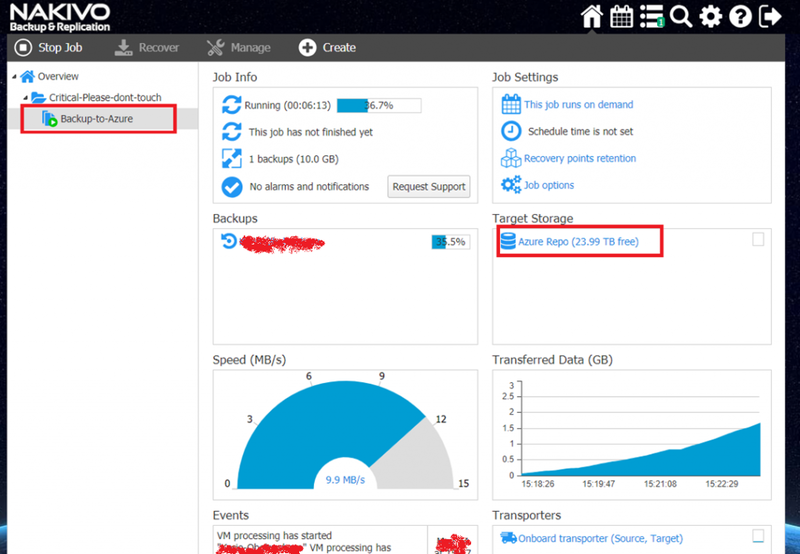 If the amount of data is relatively small (less than 4 TB), there is no problem with making use of this soltuon; you can either use Azure Blob as a CIFS or NFS storage, or you can create your own Virtual Machine by adding a disk to store your data and then configuring it as a file server. However, this blog post focuses on cases where space limits are more than 4 TB. Microsoft Azure allows you to create VMs and add disks, with the maximum capacity of 4 TB for each disk. It is suitable for application servers, but very often cannot work if you require a big file or backup server. However, we can exceed this limit by using Windows software raid array. The idea is to use RAID5 as the software RAID, which contains arrays starting from 3 disks. Why RAID 5? Because it has a good read speed limit. It is also economical to use X disks, where X starts from 3 and you only lose 1 disk space for the total RAID result space. Furthermore, this should give you redundancy if one of your disks were to fail. 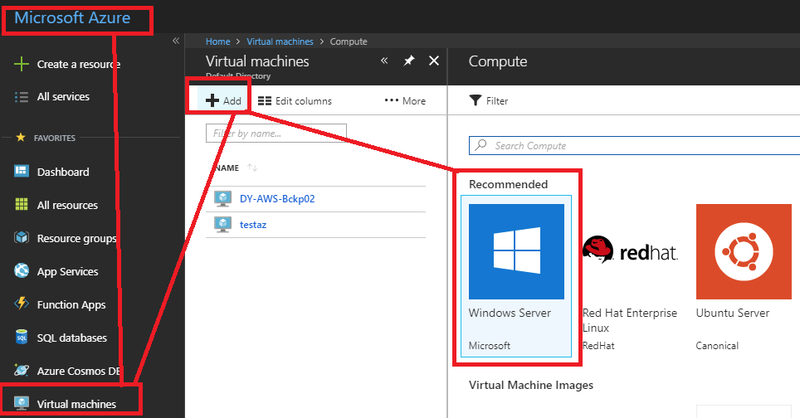 However, if we speak of building a RAID array in Azure, we already have the virtual disks as blocks of our array, which are protected by Microsoft Azure cloud. Thus, the chance of failure in our RAID array (which is based on disks that are already in the RAID array) falls significantly. 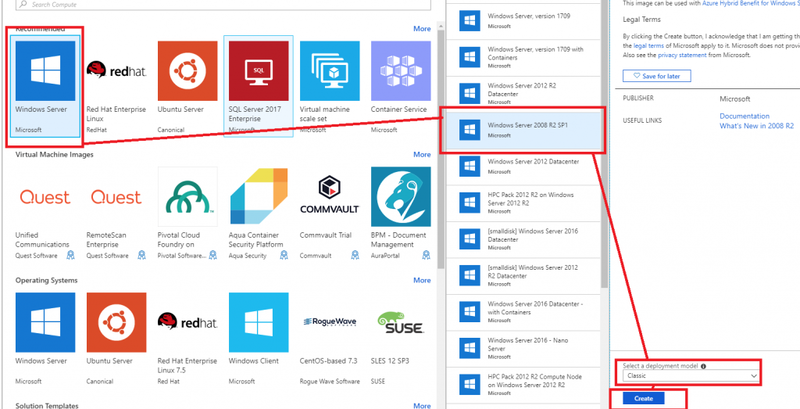 Let’s consider how to create an Azure-based NAKIVO Backup & Replication repository server. In this example we choose Windows 2008 R2 SP1 as we don’t require any advanced services, just software RAID5. At this point you have created a new VM - now it is time to add disks. 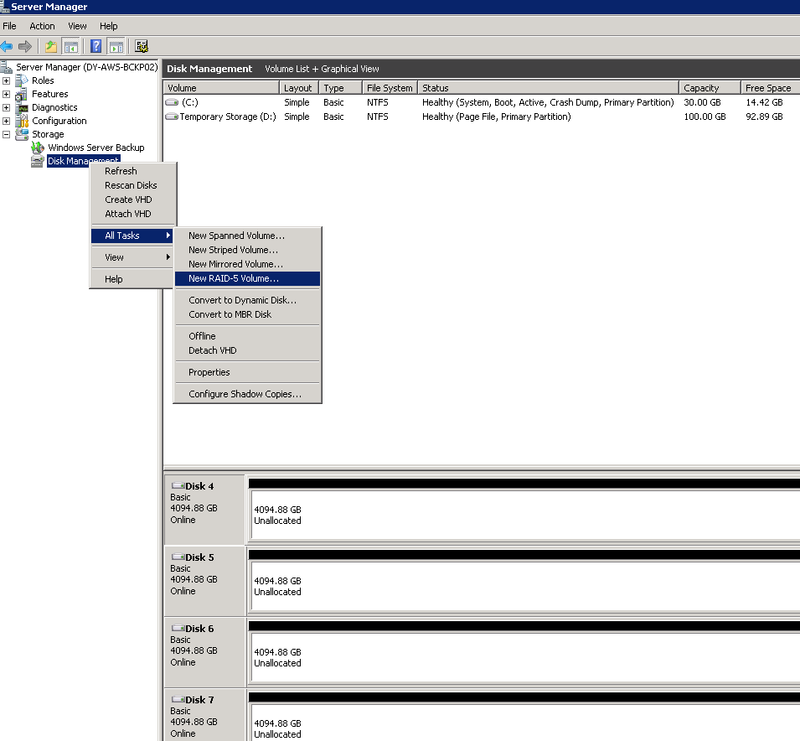 On the Disks page you can add as many disks as you need for your future disk array. In our case we will build software RAID5, which will require for 7 disks to be added. We need to have our SMB share available from the Internet, thus we have to configure the Azure Firewall settings. At the Networking section click the Add inbound port rule button, and create a new rule allowing you to make port #445 (SMB) accessible to everyone (for testing). Alternatively, only make the port accessible to the NAKIVO Backup & Replication instance's external IP as in the Source field (for production). The next step is to connect to the VM via RDP using the IP and credentials that you created during VM creation process. 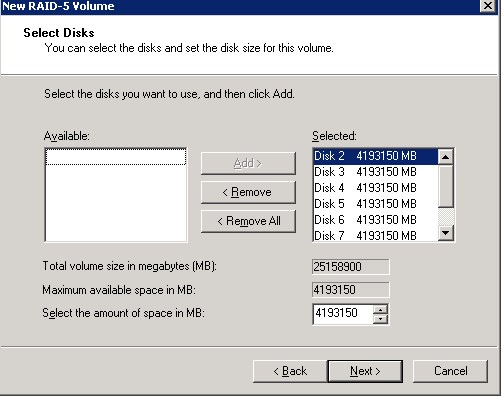 Follow the standard wizard: choose a letter for the disk and perform a quick format by NTFS. 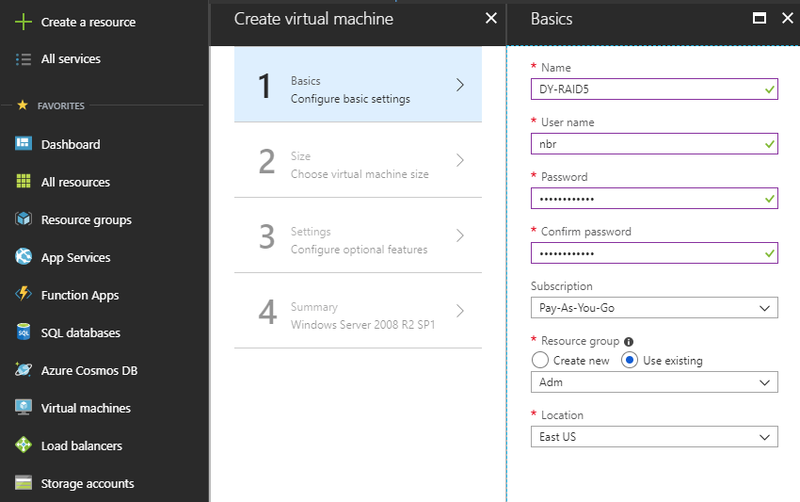 At the next step create an SMB share on a new logical disk and add write permissions to the future repository. At this stage, you can use your entire 24TB volume as a remote repository in your NAKIVO Backup & Replication instance. 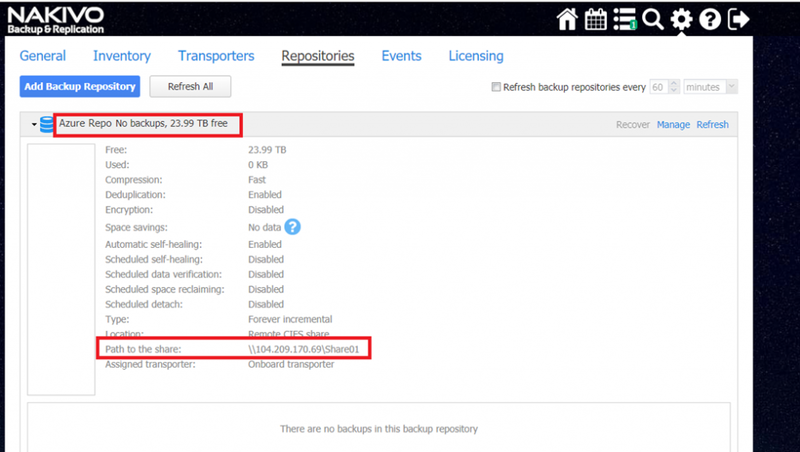 Then create a new job using the new repository as the backup target and run it. The amount of data to be backed up is growing exponentially. Therefore, it is important to store them in the most economical way. 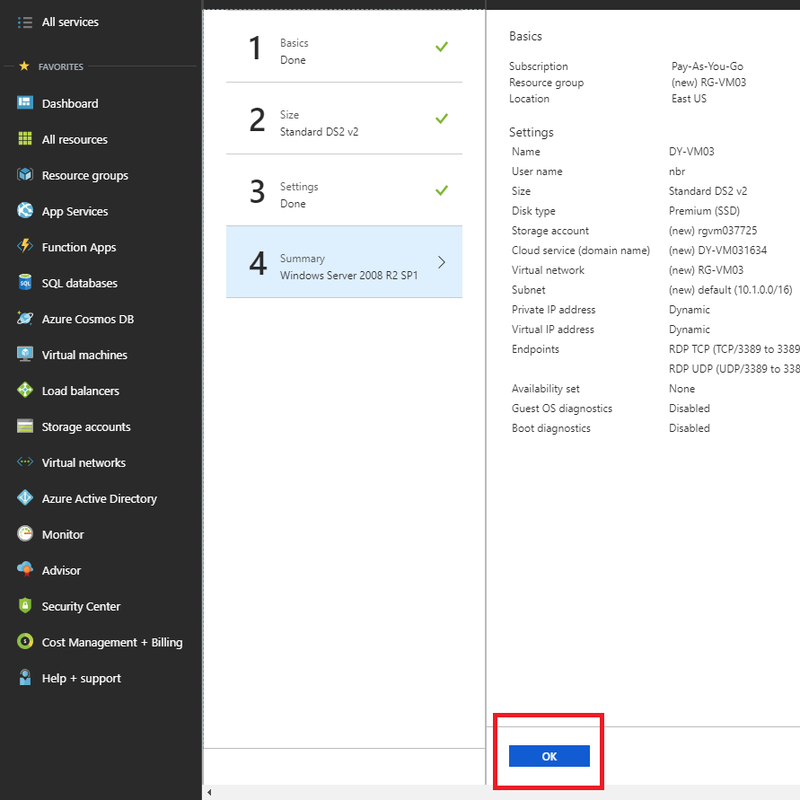 Using NAKIVO Backup & Replication and RAID 5, you can make sure your VMs are reliably protected and there is enough space to store them in Azure. Download the Full-Featured Free Trial of NAKIVO Backup & Replication to try the proposed solution in your own cloud environment.